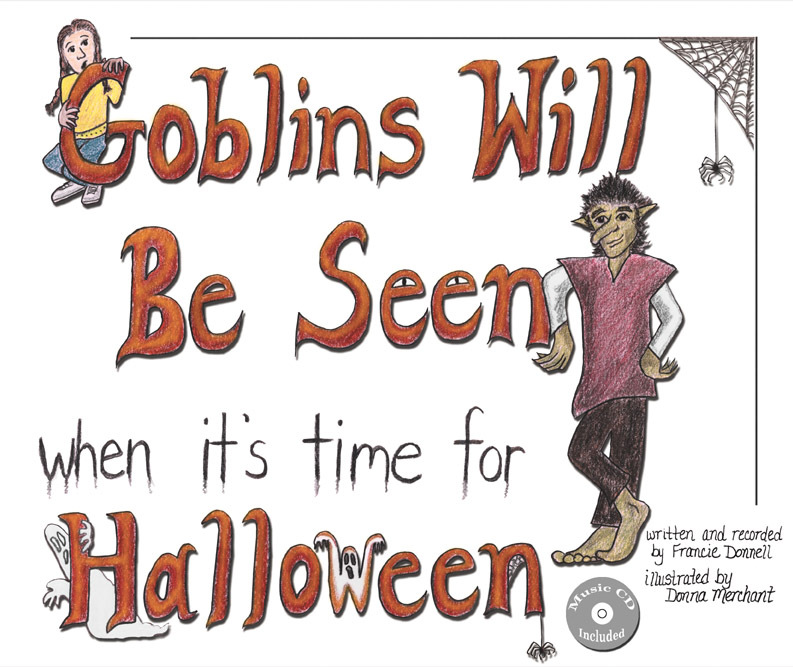 2DonnBooks’ first commercial publication, Goblins Will Be Seen, is based on the lyrics of a song written by Francie Donnell in 2004. Although the text is targeted toward children in grades K through 3, the illustrations and CD recording, that accompanies the book will appeal to readers of all ages. 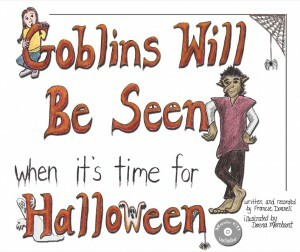 Click to hear a sample of the song “Goblins Will Be Seen”, included with the book. The action takes place in the charming, historic town of Occoquan, Virginia. Many of the town’s quaint shops with their unique architecture are featured in the book. 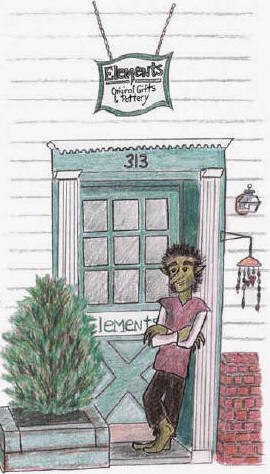 Francie Donnell and Donna Merchant, the book’s author and illustrator, enjoyed working with the local shop owners and town officials during the planning stages of the book. The book was released on September 15, 2005. When a young goblin walks through town, it is a startling sight. But soon he is recognized as part of the Halloween festivities. He leads a procession of costumed children — but are all of them rally children — through the streets to their final destination, a Halloween party. Join them as they walk the historic streets of Occoquan, Virginia and follow along with the spooky lyrical recording of Goblins Will Be Seen.